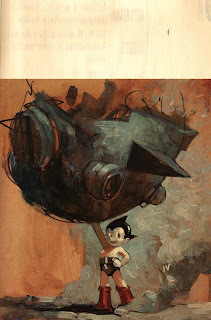 Ashley Wood is doing variant covers for our ASTRO BOY: UNDERGROUND series, which starts in May. Here's his take on the character for issue 1. Gran Trabajo, y buena interpretación de Astroboy.